Post sponsored by Lunchbox. All opinions are 100% my own. Please see below for additional disclosure. Keeping your beauty and skincare routine on trend season to season can be tricky! 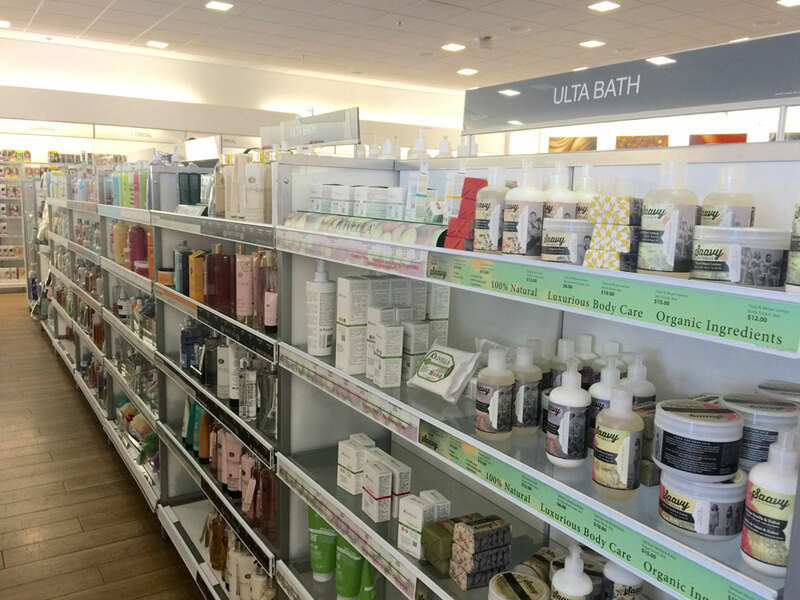 That’s why I turn to ULTA when I want to try something new because it consistently has the latest and greatest in skincare and beauty, no matter the season or trend. 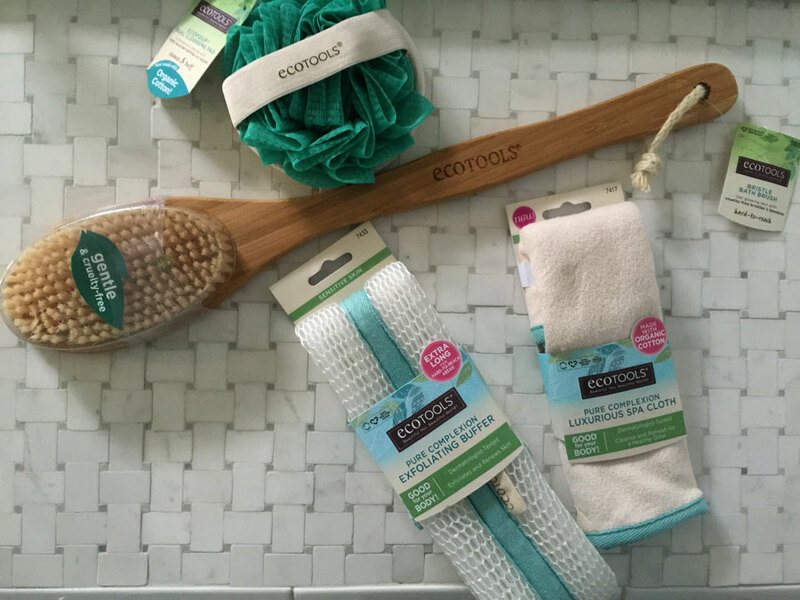 In fact, some brand new EcoTools bath essentials just hit the shelves that you should definitely check out! 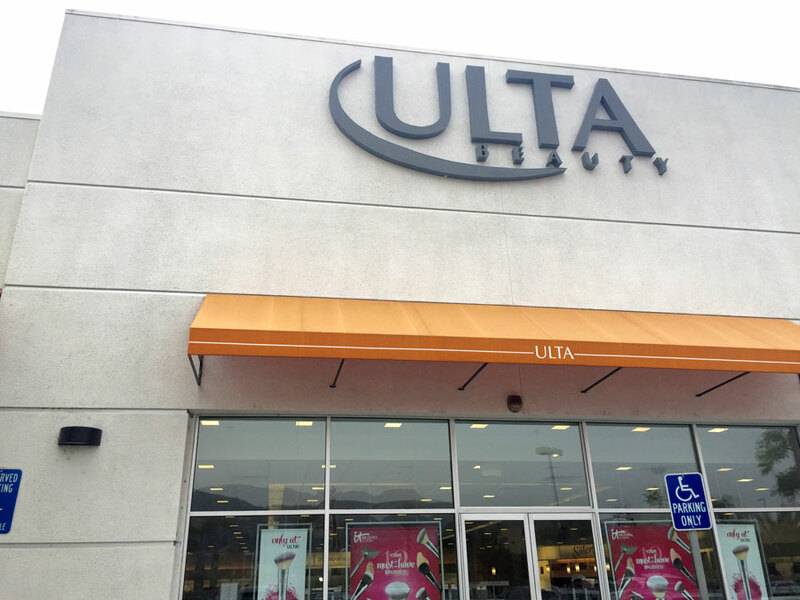 I’m lucky enough to have two ULTA locations pretty close to home and if you’d like to find your nearest ULTA, please click here for the ULTA Store Finder. ULTA truly is the perfect place to remix your regimen this spring. I recently stocked up on some of these new bath tools, and to kick off my new skincare routine, I of course created a Remix Your Regimen Spotify playlist with a few other bloggers, because where’s the fun in getting ready without the right kind of jams?! Give the playlist below a listen, and see how I’ve mixed it up this spring! I’d like to share a simple how-to with you about Dry Brushing and why it’s such a great thing to do! Dry Brushing is a wonderful way to slough off the dead skin cells on your body and to detox your lymphatic system. I’ve heard that Dry Brushing can also help with your circulation, digestion and even strengthen your immune system. The most noticeable benefit for me is how smooth and glowing my skin looks now that I’m Dry Brushing on a regular basis. Here goes: Start with an all natural bristle brush like the one I pictured above and beginning at your feet, work your way up your body with gentle circular motions. I’ve heard that Dry Brushing can even help with cellulite so I like to pay extra attention to the back of my thighs and upper arms! I always Dry Brush right before I bathe so the dead skin cells are washed away. I don’t brush my face with this body brush but like to use a Spa Cloth like the one I got from EcoTools at ULTA (pictured above with my other goodies from my ULTA shopping haul). The Spa Cloth is actually intended for use on your body but I find that it gives a tiny bit of a gentle sloughing which I really love for my face. 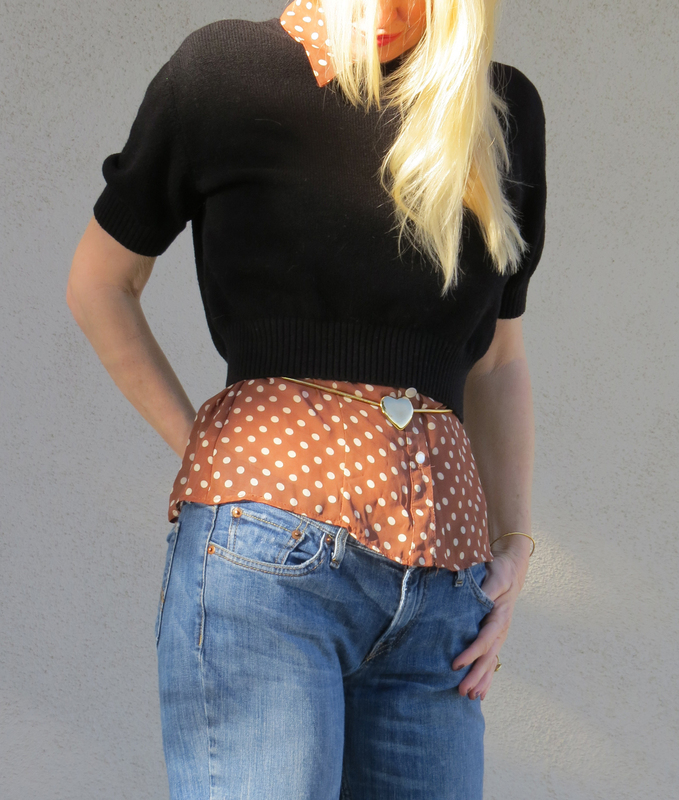 If you haven’t tried Dry Brushing before, I hope you’ll give it a try. 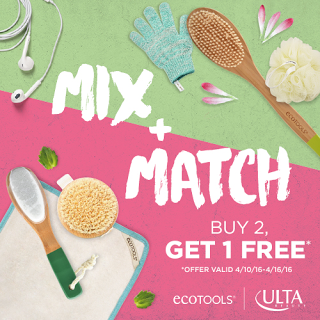 ULTA also has a great offer going on now with a Buy 2, Get One Free offer ( 4/10 – 4/16/16) on EcoTools products. 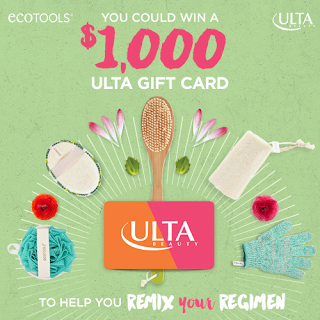 Be sure to head in to your nearest ULTA, take a picture of the EcoTools body care essentials at shelf and purchase the products at ULTA for the giveaway. **Post sponsored by Lunchbox. I only recommend products or services I use personally and believe will be good for my viewers/readers. I am disclosing this in accordance with the Federal Trade Commission guidelines concerning the use of endorsements and testimonials in advertising.